A Japanese maple is a great decorative element in the garden. 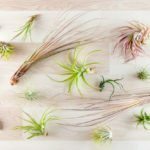 With a compact size, interesting foliage, and beautiful colors, it can really anchor a space and add a lot of visual interest. 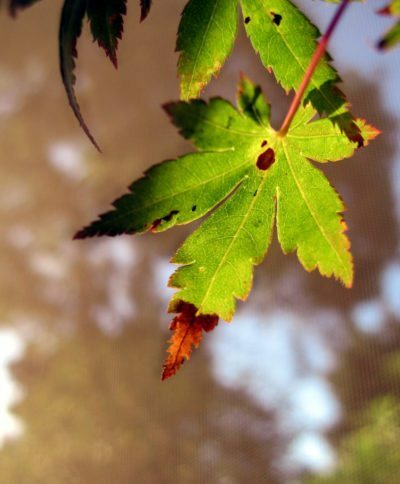 If you’re seeing spots on Japanese maple leaves, though, you may be worried for your tree. Find out what those spots are and what to do about them. The good news is that when Japanese maple leaves have spots it is most often not a reason to be concerned. Leaf spots are rarely so serious that some method of control needs to be deployed. Generally, your tree will be happy and healthy if you provide it with the right conditions. This is a tough tree that resists most diseases. 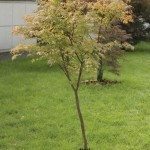 One of the most important things that your Japanese maple needs is rich soil that drains well. It will not tolerate heavy soil that holds water and makes its roots soggy. 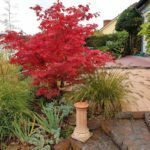 Plant your Japanese maple with compost to enrich the soil, but don’t add much fertilizer later. These trees do not like to be overwatered or overfed. With these conditions, your tree should avoid most diseases and spots. What Causes Japanese Maple Leaf Spot? 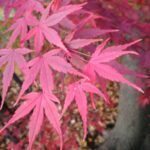 While seeing a few spots on leaves in your Japanese maple is not typically a cause for concern, there may be some reasons for them showing up in the first place, and normally easy enough fixes that you can correct. For example, spraying your tree with water on a sunny day can actually cause spots to burn on the leaves. The small droplets of water magnify the sunlight, causing burns. Keep your tree dry during the day to avoid this. Leaf spot on Japanese maple trees caused by disease is most likely tar spot—a fungal infection— but even this is not something serious that needs to be treated. On the other hand, it does spoil the look of your tree, beginning as light colored spots and turning black by late summer. 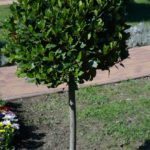 To manage and avoid tar spot, pick up debris around the tree regularly and keep it dry and spaced far enough from other plants that air can circulate. Clean up is especially important in the fall. If you see a serious case of Japanese maple leaf spot, you can apply a fungicide to treat it. 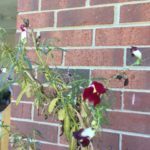 This is not necessary in most cases, and the best way to get rid of your spots is to give your tree the right conditions and prevent the disease from coming back next year.